My earlier than expected arrival last month in Salt Lake City gave me a couple of hours to explore my personal connection with the recently-opened, spectacular 23-acre City Creek Center in Downtown Salt Lake City, after parking in one of the 6,000 underground parking spaces. It was nearly 166 years ago that two of my great-great-grandfathers and one of my great-great-great-grandfathers first rode down from a canyon in the Wasatch Range toward a small grove of Cottonwood trees along what would be called City Creek, the Center’s name-sake. They traveled ahead of a vanguard company of 148 Mormons who were the first to arrive in that valley in late July 1847 following an 1,100 mile journey up and across the Continental Divide. They pulled up a block or so south of where the new Center is located now and hurriedly constructed dwellings and planted crops in advance of winter, after first softening the earth by temporarily damming City Creek across its six mile journey from a canyon to the Jordan River. By 1849, this branch of my ancestors was assigned property in the original 13th Ward, directly across the street to the east of where City Creek Center is now, near where a spectacular Harmon’s has opened in conjunction with the massive development and my great-great-great-grandfather Charles had been appointed Deputy Marshall. In those early years, Mormon leaders had decided all property would be public-held with stewardship assigned to various families. There, my then-17-year-old great-great grandfather, A.P. Shumway, busily herded cattle along the creek and built adobes. He and others also dug ditches to carry water from City Creek past each individual plot to be used for drinking and irrigation. Today, this location is at the base of an office tower where coincidentally, my daughter and A.P.’s great-great-great-granddaughter works as assistant corporate counsel. And as City Creek flows out of a canyon on its way to entombment beneath Downtown Salt Lake, it passes near where my grandsons attend an innovative school where learning through music is a balance to their passion for sports. As I explored the spectacular City Creek Center last month, parts of which are both inside and outside, the temperature hovered in the low teens, held there by several days of inversion above Salt Lake Valley. Breathing air that cold for the first time since leaving Alaska in late 1980s brought back a flood of other memories. The real City Creek remained the lifeblood of Salt Lake City throughout the remainder of the 1800s. As the city’s population surpassed 92,000 in 1909, the creek was entombed. This was the same year that my great-great-grandfather passed away near the town of Franklin in my native Idaho. 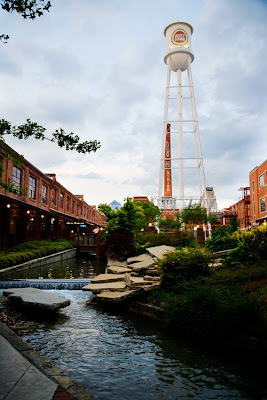 The nearly quarter of mile creek of that name that flows through City Creek Center today is a man-made facsimile, much like a similar water feature of approximately the same length dubbed Old Bull River that flows through the restored 16-acre Lucky Strike factory complex in a downtown district of similarly-sized Durham, North Carolina, where I live. The real spring-fed City Creek famously resurfaced in a 1983 flood when suddenly swollen by a spring thaw it day-lighted once again and flowed during a brief reminder down the surface streets that traced the original path of its south fork. Entombed once again, efforts to daylight City Creek once and for all continue. A.P. Shumway left Salt Lake with his father later in 1849. They were “called” by Mormon leaders to lead a party of 100 families south 135 miles to settle the pastoral San Pete Valley after a request by Ute tribal chiefs. The valley is the geographic center of what would become Utah Territory a year later and a state in 1896. However, I suspect, that for them, Salt Lake was already becoming too crowded. Wagon trains of more than 1,000 people each had begun arriving, followed by ‘49ers who stopped for the winter on the way to the gold fields of California. Andrew’s father Charles was described by his in-laws as someone of “hardy stock” who “loved wild country.” Even with so few settlers having arrived in Utah in the late 1840s, various aspects of human behavior were manifest. Cattle will not paw away snow to eat like horses will which is why ranches such as the one where I spent my early years used large horse-drawn sleds to distribute bales of hay during winter snow. In the winter of 1849, some of the 100 families elected to remain by camp fires deeming it the will of God if their cattle died due to an unusually heavy snowfall while my ancestors went out each day to shovel clearings in the grass so their cattle would not starve. The Shumways also formed another settlement further north and were caught up in hostilities with Native Americans known as the Walker War with my great-great-grandfather, then 21, fighting at Salt Creek before settlers were ordered to temporarily evacuate. He assigned blame for the war to those who failed to obey instructions from church leaders to live peacefully and respectfully along side Native Americans. My great-great-great-grandfather Shumway then bought a farm about four miles from where another of my great-great-grandfathers, Charles Harper, had settled in Holladay. In 1856, my great-great grandfather Shumway returned east to visit family in Massachusetts after an absence of 18 years and passing through several slave-holding states. I can imagine that talk of abolition and secession made him wonder if the Union, into which Utah had been annexed after the war with Mexico, would survive its new division into Republicans and Democrats who were subdividing during the Presidential election during his visit into Southern and Northern factions. In December of that year he sailed aboard the paddlewheel steamship Arabia to Liverpool, England before being called back to Utah within months through New York aboard the packet ship Underwriter when federal troops under Colonel and soon-to-be Confederate General Albert Sidney Johnston were ordered into Utah to depose Mormon officials in a bloodless coup known as the Utah War. Soon, A.P. married Amanda Graham, the granddaughter of a Revolutionary War veteran from North Carolina who had settled in Alabama. Both Shumways resumed colonizing, settling Cache Valley where my grandparents were born and later Arizona. I wondered if I inherited any of their toughness as I hiked up an incredibly steep San Francisco-type hill at the end of my walk last month to rendezvous with family. 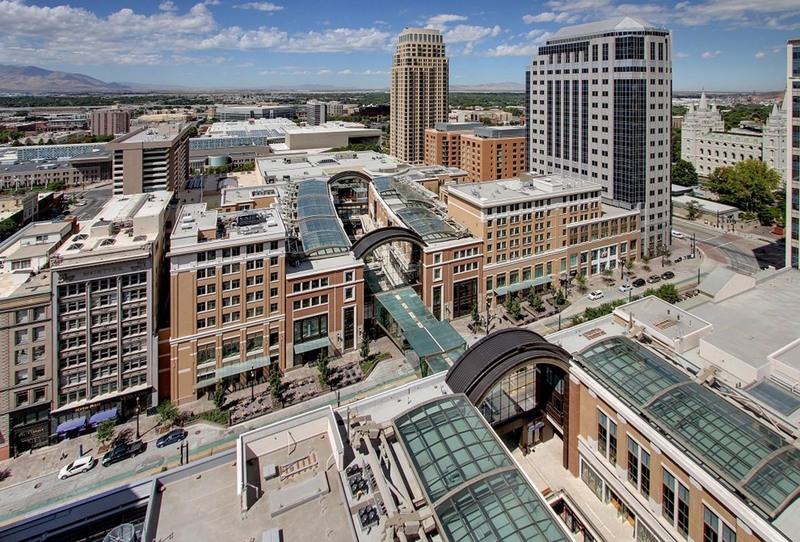 Looking back at City Creek Center, I remembered that shortly after I graduated from Brigham Young University in the 1970s, the Mormon Church had invested $40 million to help revitalize Downtown Salt Lake an effort which included two malls. Now its for-profit real estate arm has invested approximately $1.5 billion in City Creek Center to replace them with a new combination of retail, residential and office, none of it from tithing and part of a $5 billion revitalization. I wondered what my three ancestors in that 1847 vanguard company would think now and how compelled I feel to leave information like this for my descendants.